Theobald Wolfe Tone was born in Dublin 250 years ago (on 20th June, 1763). He is not an original thinker, nor a systematic one. But he does act as a “lightning conductor” (as Thomas Duddy puts it), bringing together ideas about liberty, independence and popular sovereignty and applying them to the Irish situation. 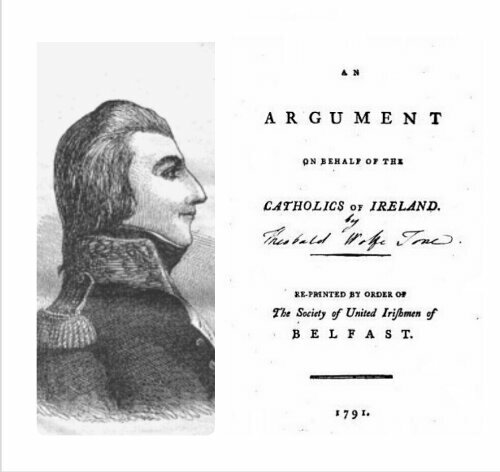 These ideas picked up over time were incorporated in pamphlets, writings and finally in Wolfe Tone’s actions. He died in prison in Dublin, after arrest for his part in the failed 1798 Rising, on 19th November, 1798.